I just recently reread The New York Network for School Renewal: A Proposal to the Annenberg Foundation. This was the early 1990s. It was quite amazing. 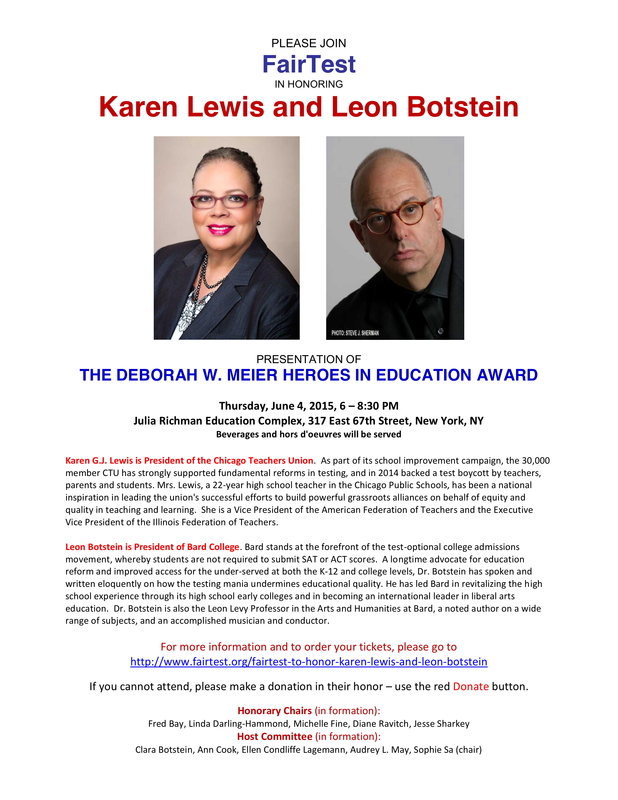 It was approved not only by the Annenbergs, but by the then Chancellor, Mayor, State Commissioner, Board Chairman, President of the UFT, and three partner school-based organizations with rather varied political and educational agendas. We were ready to launch an experimental district of 50,000 students at its maximum and 150 or so schools with fiscal support for five years (nearly 100 schools were already launched). We had agreed upon freedom from all but a few Board, City, State and Union rules, a plan for documentation by both NYU and Teacher College, both ethnographic and statistical. We committed ourselves to serving a population demographically comparable to the city as a whole. But it never got off the ground because a new Chancellor vetoed it. We got the money—50 million over 5 years—but not the agreed upon autonomies to learn what we needed to learn. It was a lost opportunity, but it sent me on my way to Boston to join a much smaller and more modest plan developed by the Boston Teachers Union and the Boston Public Schools called the Pilot Project. The Pilot Project was fun, modestly successful, and far less well funded. While it has grown it has lost a lot of its promise as attention shifted to a combination of centralized planning, privatization and anti-union media. I had fun starting a Pilot K-8, Mission Hill, school that is still going strong. No regrets about that. You can see Good Morning Mission Hill on my website and on YouTube for some happy moments. But we lost the moment to make the case for true accontablity—changes that might change everything that needed changing. My latest gripe. How the word “personal” has shifted its meaning so that machines are now programmed to pretend to be people in personal contact with children. Ron Wolk, the original publisher of Ed Week, has a good piece on this in the January 6th issue of his old paper (link). He describes what we all used to think the phrase “personalized learning” meant and how it was, and in some places is still, practiced. He ends with a warning: “The reason nothing important changes in education is because if one significant change is made, everything would have to change.” That is why Ted Sizer’s Coalition of Essential Schools laid out ten principles that went together for real change to occur. Many signed on, few got very far, and some of those who went the furthest were murdered along the way. But we need to revisit the ones that have survived and the ones that have started lately. We need a way to keep these principles, and the schools that represent them even incompletely, alive—in one way or another. They won’t all look alike and to live in today’s world they have each made some compromises. But even in a perfect world there would be trade-offs. That is the ornery and also wonderful nature of institutions designed by the people who will live in them. I spent three days last month in Texas with the North Dakota Study Group (NDSG) in its new form—much younger (maybe a dozen “oldsters” of whom I think I was the oldest), probably half or more people of color (more Hispanic than Africa-American this time). While we were kept too busy to reflect together on our experiences than I would have liked, the conversations we did have were both reassuring and insightful. I came away bursting with questions to explore. And with new colleagues and friends. One thing I was thinking about was how my views about “small, self-governing schools of choice” has held up since the early 1970s when the NDSG was formed. I think I would exclude the last—choice. It is not that I am now opposed to choice, but I see that my position is really “it depends.” “It depends” is my latest position on many things. But small and self-governing remain—although self-governing has gotten more complicated. Who are the constituents of that “self”? I have discovered a new word—subsidiarity—that Catholic friends introduced me to. It means that decisions should be made by those most affected by them! My central purpose through it all has been figuring out what best supports democracy versus what makes it easier to undermine it—while simultaneously educating each other. Inequality of power is our greatest enemy. It is on the firm ground of communal responsibility, in which all have had equal voice—that democracy rests. When community members know each other and share some critical common spaces—like schools, post offices, libraries, etc.—and some critical common interests—such as what happens to your kids happens to mine—that democracy has a fighting chance. Without such mutuality democracy can simply become a fight over who can win an advantage without regard for the losers. Is this too idealistic? Maybe, maybe not. We have to recapture, I believe, the spirit of democracy writ small until we can truly start re-installing it writ large. That is why I have always supported small schools. Small schools make easer that face-to-face communal spirit and realistic communal responsibility for those besides oneself (and those most closely connected). It does not magically cure selfishness and greed, but it gives generosity and trust a chance to take root. Those “communities” ideally should cross typical racial and class boundaries; but equally important, they need roots that outlast this or that single cause. In today’s world “communities” are too often built on a single interest, be it recreational, occupational or political. But those communities hold together only as long as that single interest holds. ”Home turf” can be a stronger shared turf—which neighborhood institutions (libraries, schools, playgrounds, et al) reinforce. Whether schools should be integrated at the expense of neighborhoods is a complex issue and I am leaning the other way of late. In a largely society, spreading kids—especially Black and Latino kids—around in other neighborhood seems disruptive of democracy and spreading middle class white kids around largely Black and Latino schools seems hopeless. I am hoping we can do some thinking aloud about this dilemma. In the meantime “choice” has taken on a largely market-place meaning which inevitably increased class and race isolation. Is there a third alternative—since choice has so many obvious attractions? People who work in the “orphaned subjects” have a long history of playing tag-a-long to subjects deemed to be “core.” There is a persistent hope that writing standards in great detail will some how get you a bit more curriculum time. Just published standards in Music, Dance, Theater, Visual Art, and Media Studies (new discipline) seem to have been written in the wild hope that all of the standards will be tested with “authentic” assessments. These standards are grade-specific, starting in Pre-K. The standards come to a screeching halt in high school, with three levels defining studies: Proficient, Accomplished, and Advanced. The writers of the standards wanted a parallel structure for each art form. 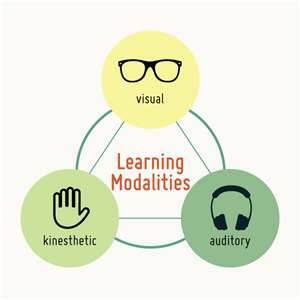 There is a common belief in education that knowing one’s, or one’s students’, preferred learning modality is important or at least helpful in designing learning strategies for ourselves or them. When I do a search of learning modalities I find dozens of articles in educational journals about how to use this information and why it is important. The interesting thing is that the empirical evidence does not support the claim, despite its popularity. And this lack of support is not for lack of investigation.